Are you ready to light up the holidays? 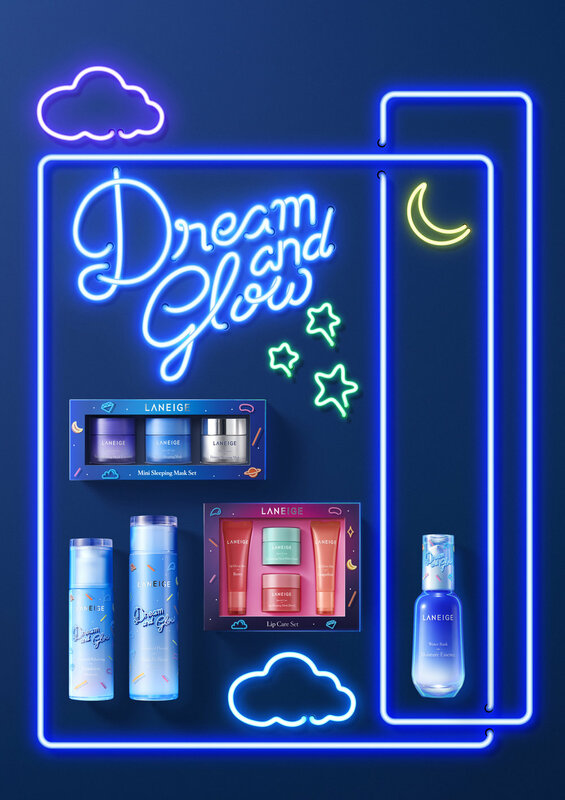 This year end, celebrate with bright neon colors and vibe with LANEIGE’s all-new Limited Edition Collection - My Neon Sign, that lets you shine and glow through your never ending late night parties and jetsetting vacation around the globe. The campaign also features the brand’s newest ambassador, actress and singer, Lee Sung-Kyung whom fans fell in love with through the romantic comedy series, Weightlifting Fairy. Set the perfect canvas and foundation to the face with the LANEIGE Wild at Heart Layering Cover Cushion, as the brand’s latest and newest innovated cushion comes in a limited-edition packaging as part of the My Neon Sign collection, showcasing a chic Neon casing. Once you’ve had your foundation and eye makeup set on, complete your look with the limitededition LANEIGE Wild at Heart Stained Glasstick with special limited-edition vibrant colours. The limited-edition sleek silver and neon packaging adds moisture to your lips for a natural flush and glowing texture, perfect to captivate the attention of others on your alluring lips. As you party the night away, why not put those hours spent in bed to good use and wake up to gorgeous, glowy skin? 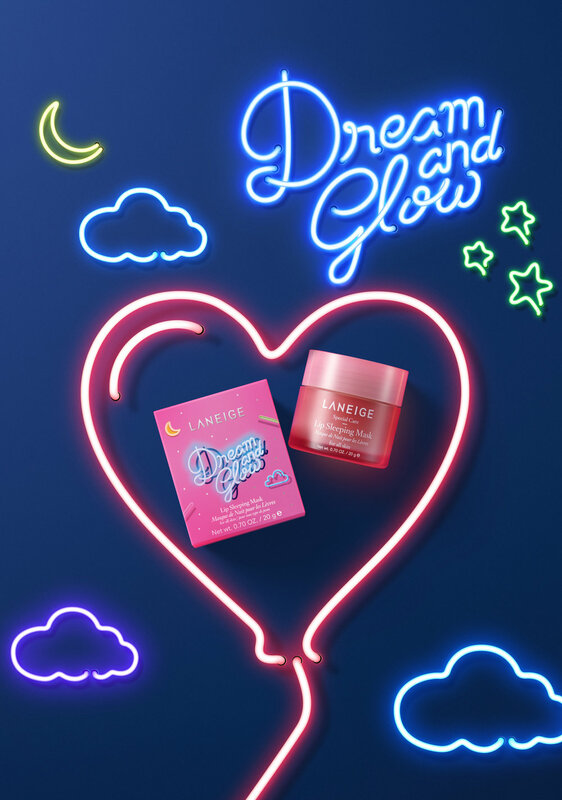 Inclusive of 3 best selling LANEIGE sleeping masks that cater to a variety of skin type, the LANEIGE Dream and Glow Mini Sleeping Mask Trio comes in a set of three. The collection features a chic and glamorous look with a dash of Neon wordings - Wild at Heart for its makeup range and Dream and Glow for its skincare range that will add more style to your holiday looks as you celebrate your holiday away. LANEIGE is available in Sephora, Aeon, Isetan and Parkson outlets as well as their boutique stores around the Klang Valley. For more information on Laneige, visit their Facebook or Instagram page or go to laneige malaysia website here.